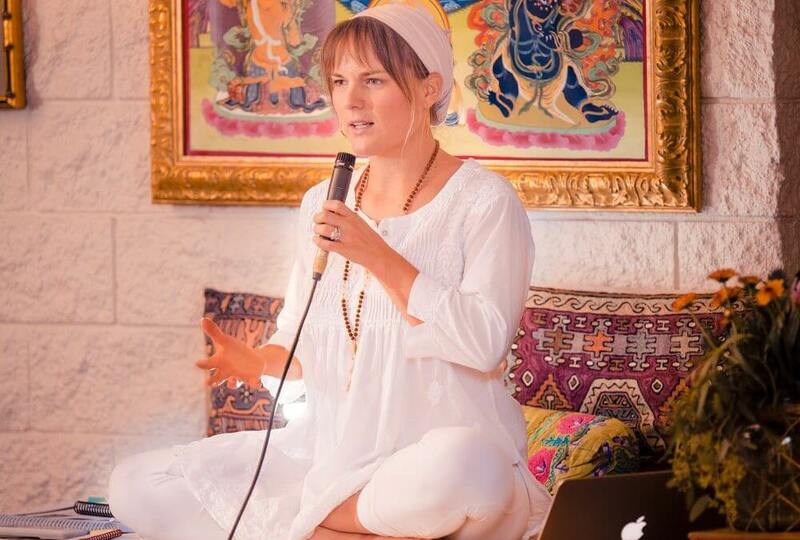 How did you first get into Kundalini Yoga? Wahe: I was born into the lineage of Kundalini Yoga. My parents practiced and are apart of the community Yogi Bhajan started in the 60’s. What inspired you to become a KY teacher and what keeps your passion for teaching going? Wahe: Part of my schooling in India was doing teacher training during my senior year. Yogi Bhajan had a vision for a yogic and Sikh school where all the children learned to be teachers. I was blessed to have gotten to go to Miri Piri Academy where I was trained at a young age to be a teacher. It was one of the biggest blessings before graduating and moving back to the US. Why do you like teaching at Sat Nam Fest? Wahe: I love teaching at Sat Nam Fest because it is a space for all things, beauty, break thoughts, love, laughter and some times even a good cry. The community is so welcoming and supportive to each other and each persons own process. Sat Nam Fest does the most beautiful job at cultivating a community oasis where people who do not even know each other can feel like family with in just a few days. The children at Sat Nam Fest bring a very special element as well. They make the whole camp light up and feel like home. What about the Kundalini Yoga community feels special to you? Wahe: All are welcome and all are accepted. It is one of the most open hearted communities I have every seen. What is your favorite aspect of Sat Nam Fest? Wahe: The children and family elements. I love seeing the kids in classes. When I was growing up Yogi Bhajan always had us kids around. The grownups would be meditating and we would be playing around them. We were respectful and played quietly, but he know the importance of the children being the the vibration so we were always there. SNF creates this same environment for families to come and be together and practice together and everyone in camps seems to love it, even if they do not have children. Wahe: I love to dance and discover new music. Being out in nature is really important for me. I love hiking and spending time outside in my garden, taking care of my chickens and harvesting from my veggie patch. Spending time with girlfriends is a must and always fills my spirit. I like to run, it feels like meditation in motion for me. I love having fun, I want to get the most from life in every way possible! What are tools you use to help manage stress? 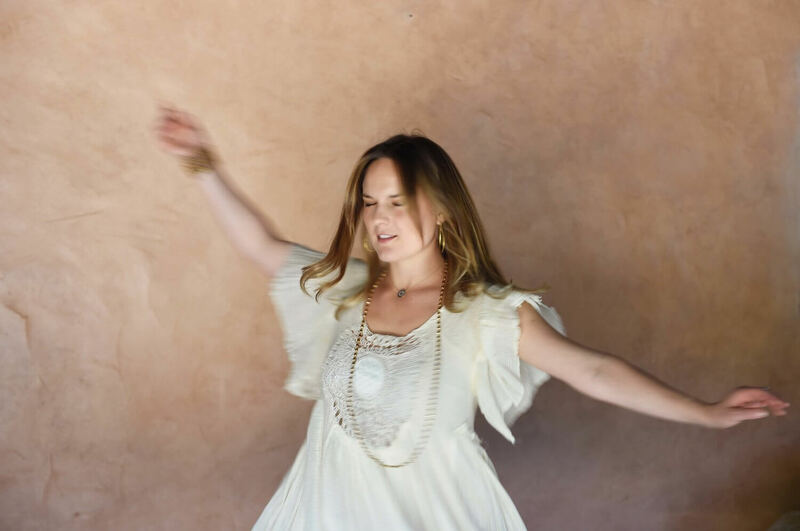 Wahe: Obviously yoga and meditation are my go too’s, but I also love the support of healers. I have a special love for acupuncture. I always need a few good friends to listen to me and help bring me back from the places stress can take me. Exercising is always a huge way I move my energy, running, dancing, anything that gets me sweating. What inspires what you will teach at Sat Nam Fest? Wahe: I like to create classes where people can drop there worries and just have fun. Dancing and having fun can heal so much. Join me for a class if your ready to let your hair down and find your grove! Do you have a favorite mantra, yoga set or kriya? Wahe: This depends on my feelings in the moment, I am very spontaneous when it comes to my own practice, I can not say I have a favorite.